It’s fair to say Portugal has not been a destination filled with fortune for me. Nonetheless I love this country and especially it’s amazing capital Lisbon. 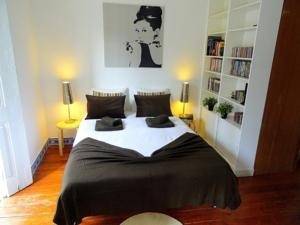 Hello Lisbon – Serviced Apartments. These apartments are great. Please note: I stayed not in the Santa Apolonia Unit, closer to the centre (I think), but near the Arte Antiga Museu, in the direction of Belem. 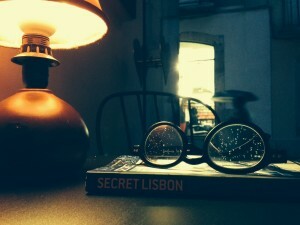 Hello – Lisbon, Nicely Furnished, Clean, Good Location, Reasonably Priced, Free Wifi – More? The prices are very reasonable. The wifi free and good and they come fully furnished… Maybe email to check different locations throughout the city. Well recommended. Here is their homepage. Museu Nacional de Arte Antiga – Rua das Janelas Verdes. There is everything and then some here; tiles, relics, paintings, vases, furniture… it is very easy to spend a couple of hours marvelling at the collection. However for me, it was one of those wonderful moments where you have loved a painting all your life without ever finding out where it hangs. Then, you turn a corner and…. My Goodness there it is! 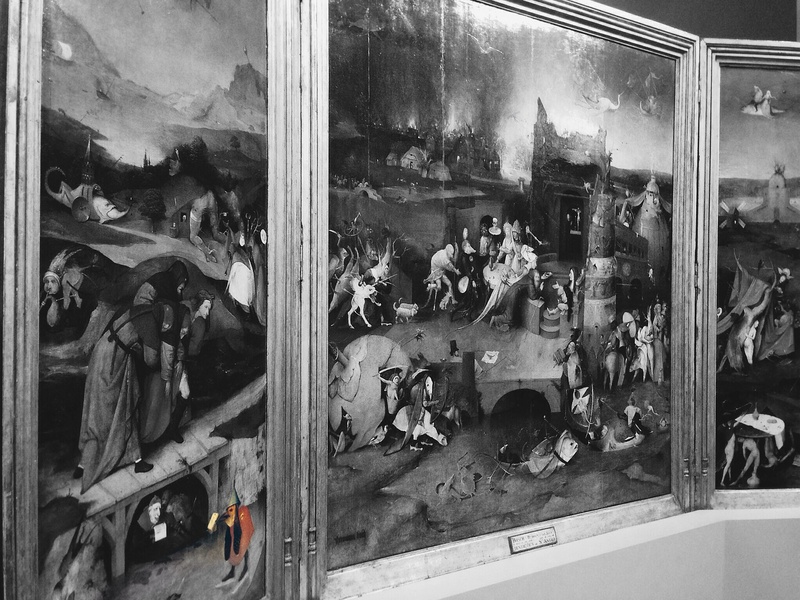 And so it was I finally came face to face with The Temptation of Saint Anthony by Hieronymous Bosch. Not really where one might expect it, but a wonderful surprise. I always think it must have been so much more fun to let your imagination run riot and paint devils rather than angels. 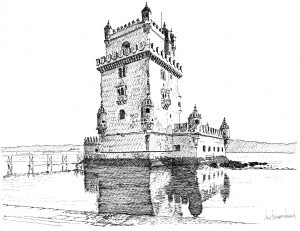 Palacio Fronteira – Largo S. Domingos de Benfica (a little outside of town). With taxis being so cheap, it is well worth making the effort to escape the city centre to this beautiful – still lived in palace. The Palace is Portuguese Renaissance, and nice enough, but to me it is the gardens that steal the show. 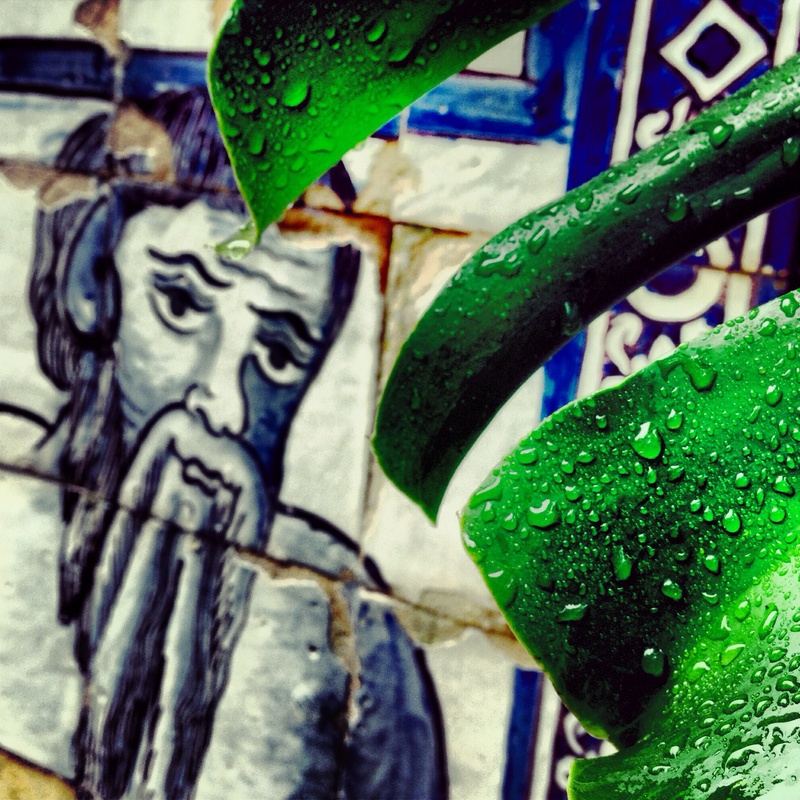 Beautiful Italian style gardens, they display my favourite Azulejos of Lisbon, together with deep coloured walls, remenisscent of Frida Kahlo’s garden in Mexico or that of Yves Saint Laurent in Marrakech. I really enjoyed my visit here, probably as I was not expecting much. NOTE: tours only and only in the morning. Check their website here. 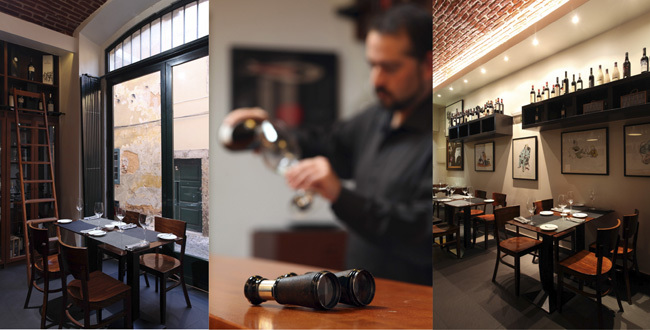 Taberna Ideal – Rua da Esperanca 112-114. This might just about be my fvaourite place in Lisbon. Simply warm and wonderful people in charge. The place seems to be frequented only by locals (a sure fire good sign). The food is fantastic and the attention to detail wonderful. Love the different chairs and tables – nothing matches. 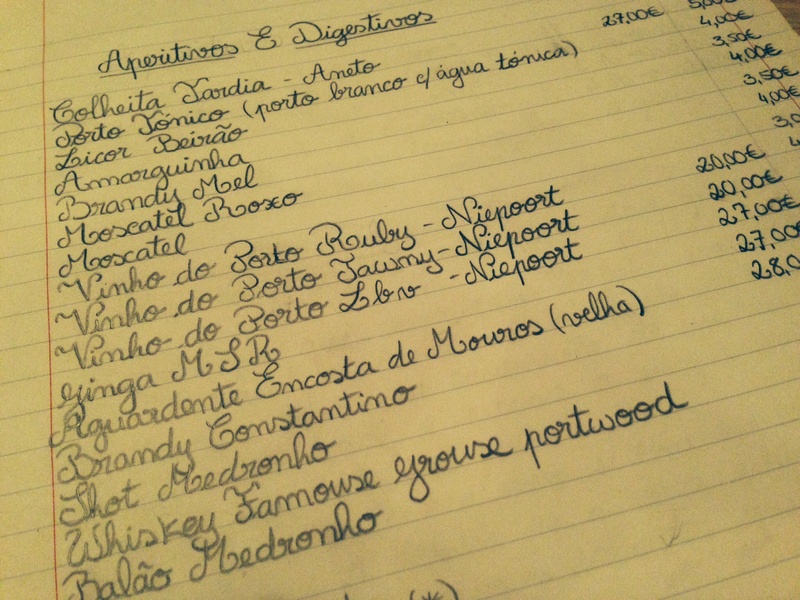 When I asked for a post-dinner drink a beautiful pencil handwritten menu was brought by the owner himself – who then took the trouble to explain the different ports to us (who does that these days?) As far as I can find; no website, but that too maybe a good sign? Closed Mon and Tues. ENJOY! 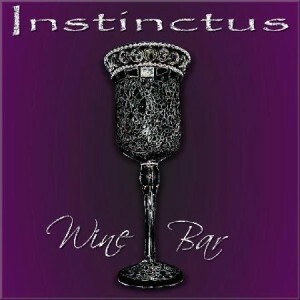 Instinctus Wine Bar – Rua de Santa Cruz do Castelo, 35 (near the castle). Sometimes you have to do just that; follow your instinct. This place – with it’s 9 (yes nine!) seats just felt right. Open since 2011, there menu consists of only a few – but delicious – Portuguese specialities. I loved the tuna and orange. Surrounded by a wealth of great Portuguese wines, you can eat well here both for lunch and dinner when they do a special tasting menu. No website, but a Facebook page. Gelataria Portuguesa – Rua Santa Cruz do Castelo n.15. This Italian-style, but Portuguese flavoured gelateria opened only in July of 2013. 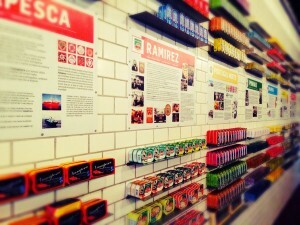 There are great homemade variations and the owners, rightly proud of their creations are super friendly. Hot chocolate and coffee available also. Tease – ‘Lisbon’s Rock n’ Roll Bakery’ – Rua do Norte 31-33 (Barrio Alto). I actually almost fell in through the door as the heavens had opened outside and asked for a glass of wine. Didn’t See Any of These Three… Oh Well, Nice Cakes Though. 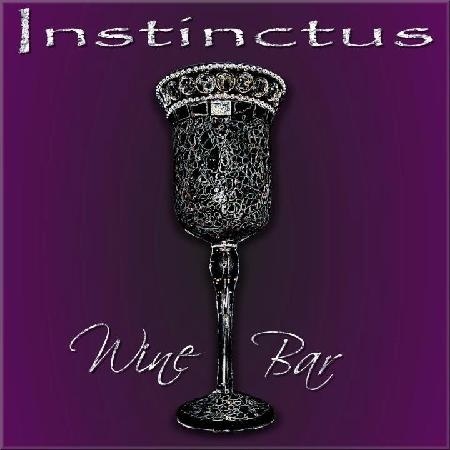 I am not certain they really do wine (I noticed the beautiful cakes – come here just for them! ), but the chap behind the counter, said; ‘no problem’ and popped to the nearby wineshop, returning with a lovely bottle of Alentejo Red from which I was served a glass for only €2.50! After that the rain didn’t much matter… Website here. Guarda-Mor – Rua do Guarda-Mor 8. This is real Portuguse cooking. The decor is splendid and the attention to detail of the dishes, top notch. It’s extremely hard to know what to order (as everything sounds so delicious). I had ray for the first time and when I asked whether that would be available again tomorrow – he the answer was;; depends whether I find an equally good one at the market tomorrow. Great reply. There is a fado show also. It starts late. Well worth using their website to book as this place understandably fills up. 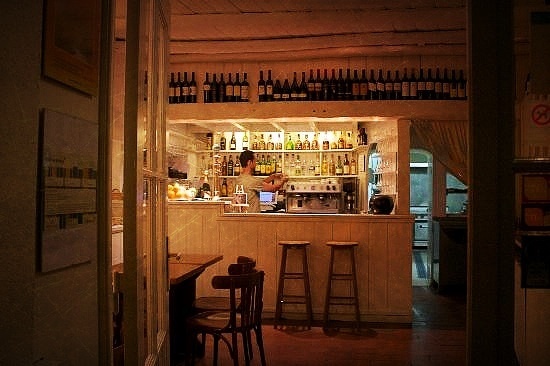 This was the best place I ate last year in Lisbon I think. It’s a little more classy and the wine was just out of this world. If fact they specialise in matching the wine to the food and do such a great job. The Best Place to Eat in And Drink in Belem? 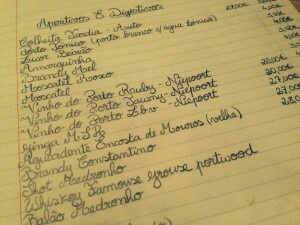 You can have a read about them on their website Enoteca Belem, but you must make sure to book as the place is so small. You will love it! This was brand new and just opened when I discovered it in October of 2013, but I suspect it has since been ‘discovered’ by others. 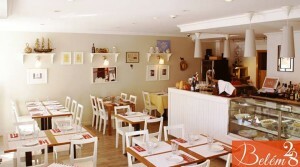 Great, fresh place, just perfect for a lighter lunch, avoiding the touristy, waterfront side of the Rua de Belem. 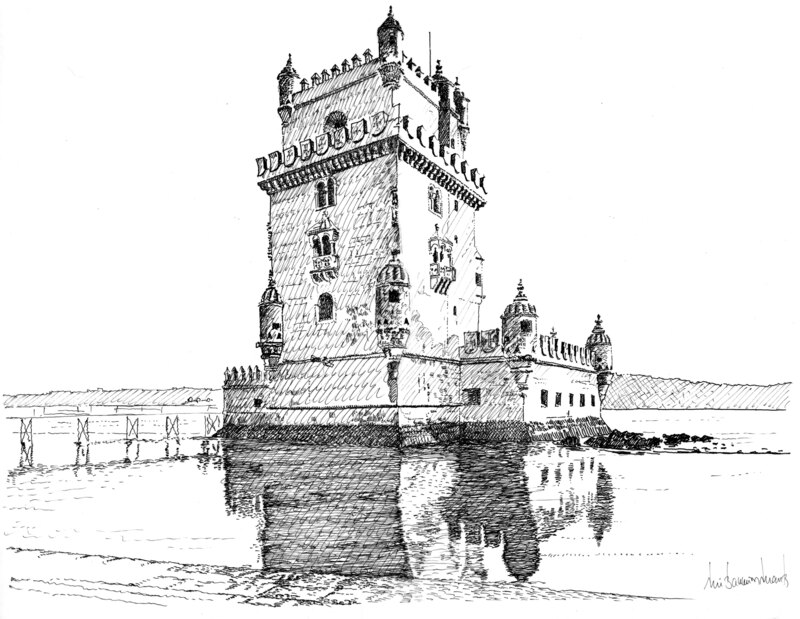 They have now created a website Belem 2 a 8 and I imagine now booking might be a good idea if my first experience there is anything to go by.